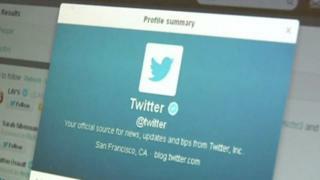 Twitter has seen a surge in government requests for user information, according to its latest transparency report. The social media platform has seen a 40% rise in the number of requests from governments around the world since its last report, in July 2014. Hundreds came from the government of Turkey, which has previously attempted to ban Twitter. The most requests came from the US government. All of the large internet companies, including Google, Facebook and Yahoo, now release regular transparency reports in order to keep users informed about how much data is shared with governments. It is part of the industry's response to revelations from former National Security Agency contractor Edward Snowden, which pointed to mass government surveillance programs in the US and abroad. "Providing this insight is simply the right thing to do, especially in an age of increasing concerns about government surveillance," Twitter senior manager of legal policy Jeremy Kessel said in a blogpost. Twitter received 2,871 requests from governments across the world asking it to reveal data about 7,144 of its users in the second half of 2014. Just over half (52%) of the requests had been fulfilled, it said. Most of the requests came from the US government - with 1,622 requests. 80% of which were complied with. The Turkish government made 356 requests, putting it second place behind the US. None of its data requests had been complied with, said Twitter, although it did not go into details about what they had been about. In Turkey, these requests tended to focus on claimed violations of personal rights either for citizens or government officials. Prime Minister Recep Tayyip Erdogan blocked Twitter in Turkey in March after an anonymous source posted allegations of government corruption. The ban was overturned in the courts and the service restored. Russia had sent 108 requests for account information since July, according to Twitter. Previously it had not sent any. It had also sent 91 requests for the removal of content, ranging from posts promoting illegal drugs to attempts to suppress non-violent demonstration. "We denied several requests to silence popular critics of the Russian government and other demands to limit speech about non-violent demonstration in Ukraine," said Mr Kessel. In August, Russia passed laws placing restrictions on users of social media. Bloggers with more than 3,000 daily readers were forced to register with the media regulator, social networks were required to retain six months' worth of data on its users and bloggers were not allowed to remain anonymous.